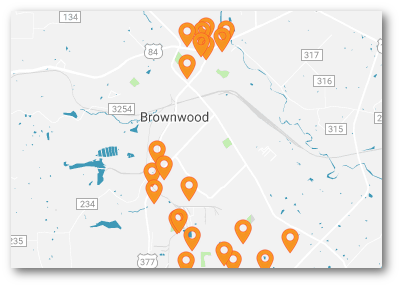 The Brownwood Industrial Foundation Inc. helps businesses establish or expand in the Brownwood Area. Their two primary services are to provide low interest business loans, made through the USDA-Rural Development IRP Program, and to sell or lease their available property to businesses that create jobs. The purpose of the IRP Program is to increase economic activity and employment in rural communities. Under the IRP program, loans are provided to the Brownwood Industrial Foundation for the establishment of revolving loan funds. These revolving loan funds are used to assist with financing business and economic development activity to create or retain jobs in rural communities. Contact Ray Tipton to obtain a commercial loan application.